Benefit from the first in-depth study of the special complexities of the ban on age discrimination. Age Discrimination and Labour Law. 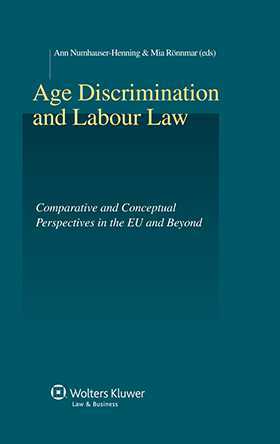 Comparative and Conceptual Perspectives in the EU and Beyond, presents a detailed investigation of age discrimination from the dual perspectives of labour law and non-discrimination law. Ensure that you have a full understanding of the latest global developments with the topical discussion and analysis of EU law and the national law in a representative range of Member States. The richly detailed comparative approach also examines developments in Australia, Japan, Latin America, South Africa, and the United States. Distinguished scholars in the fields of non-discrimination law and labour law contribute comparative and conceptual analyses as well as details of national developments, delivering informative guidance to support your practice. How will Age Discrimination and Labour Law. Comparative and Conceptual Perspectives in the EU and Beyond benefit my practice? the dangers of intergenerational conflict and economic unsustainability. Age Discrimination and Labour Law. Comparative and Conceptual Perspectives in the EU and Beyond is sure to be greatly valued by practitioners, policymakers, and academics in a number of relevant fields.